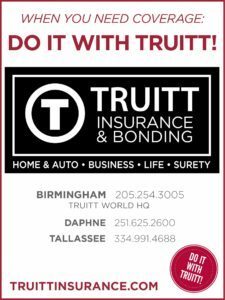 Truitt News | Truitt Insurance & Bonding, Inc.
Really good Klipinger article about umbrella coverage. Click here to read DO I HAVE ENOUGH UMBRELLA INSURANCE? This is affordable coverage to add to your home & auto coverage and is way better to have too much than not enough in the event something happens. Business Insurance Magazine article about how insurance is affecting the future of football. Click here to read Will Insurance Destroy America’s Favorite Sport? Here is a tragedy. Long-time Panama City Beach hangout Spinnaker is moving on from its decades long hold on the beach party scene to become more of a family-friendly joint. Read the Panama City News Herald article here. Shopping Centers Today article about Walmart eyeing their parking lots to create new “town centers” and redefine one-stop-shopping. Click here to read. Birmingham, Alabama was founded and the magic began. 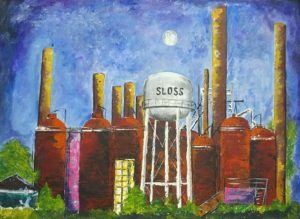 Construction began on Birmingham’s Sloss Furnaces in June 1881 with the furnaces “going into blast” the following April. Legion Field opened in Birmingham. The first ever event there saw Howard (now Samford University) defeat Birmingham-Southern College 9-0 on November 19, 1927. Birmingham Airport (now known as Birmingham-Shuttlesworth International Airport) opened. American Airways started service on May 31, 1931. Alabama International Motor Speedway (now know as Talladega Superspeedway) opened in September of that year. The Red Mountain Expressway opened to traffic. Work began on making what was an eventual 210-foot-deep Red Mountain Cut, exposing over 190,000,000 years of geologic strata. A tunnel had been discussed but the idea was eventually scrapped due to the high cost that would have been involved to make it a reality. Birmingham’s Tutwiler Hotel, located at the corner of 20th Street & 5th Avenue North, was imploded to make room for the First Alabama Bank Building (later renamed Regions Bank Building, later renamed The Plaza Building). Built by Birmingham’s Brice Building Company, Brookwood Village opened and was a huge part of my childhood. SouthTrust Tower, now known as Wells Fargo Tower, was completed in August. Built by Birmingham’s Brice Building Company, it was the tallest building in the state until the RSA Tower in Mobile surpassed it when it was completed in 2006. The Riverchase Galleria opened on February 19, 1986. Also in 1986, Oak Mountain Amphitheater opened in Pelham, AL. Birmingham’s last “skyscraper”, originally known as the AmSouth-Harbert Plaza, opened 32-floors of sleek awesomeness for occupancy. Originally planned to have an 18-floor “sister” building, the 2nd structure has yet to join the original but it would be a great addition. Keep hope alive. Railroad Park opened to the public in September 2010. Regions Field opened in downtown Birmingham. Opening night was April 10, 2013. The pay for United States Senators & members of the House of Representatives is $174,000 per year. 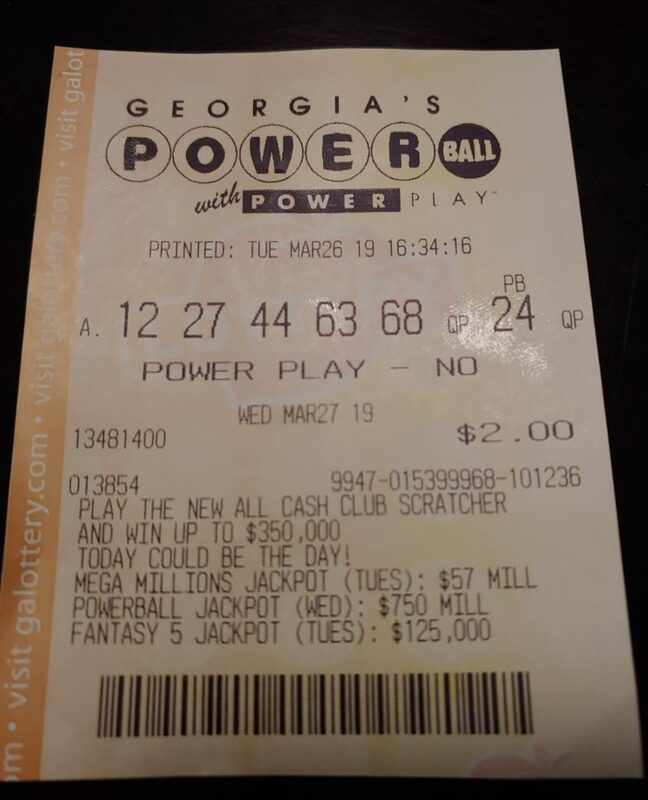 The only exceptions include the Speaker of the House ($223,500) and the President pro tempore of the Senate and the majority and minority leaders in the House and Senate ($193,400). The most recent adjustment to their pay was in January 2009. Flood Coverage is not included with your standard policy. If you need flood coverage, you need to purchase a separate policy to make sure you are properly protected. One of the best/worst college mascots belongs to Stanford University. The Tree is the “unofficial” mascot of their band as Stanford continues to have no “official” mascot. The Tree first appeared in 1975 after the school had dropped their official mascot and team name, the Indians, in 1972. As the search for an acceptable mascot dragged on, the band began making “suggestions” during halftime performances in 1975. The Tree received the most notice and the band unofficially adopted it. Interesting note, the band also used a french fry as a possibility so things could have turned out worse. According to a recent issue of Safeco News, water damage is the second most frequently filed homeowners claim with an average claim cost of $9,633. “I believe that if life gives you lemons, you should make lemonade… And try to find somebody whose life has given them vodka, and have a party”. When you think of your driving record, think of golf: The fewer points you have, the better you’re doing. Each time you plead guilty to or are convicted of a moving violation in Alabama, you’ll have points added to your record. How many points depends on the severity of the violation. 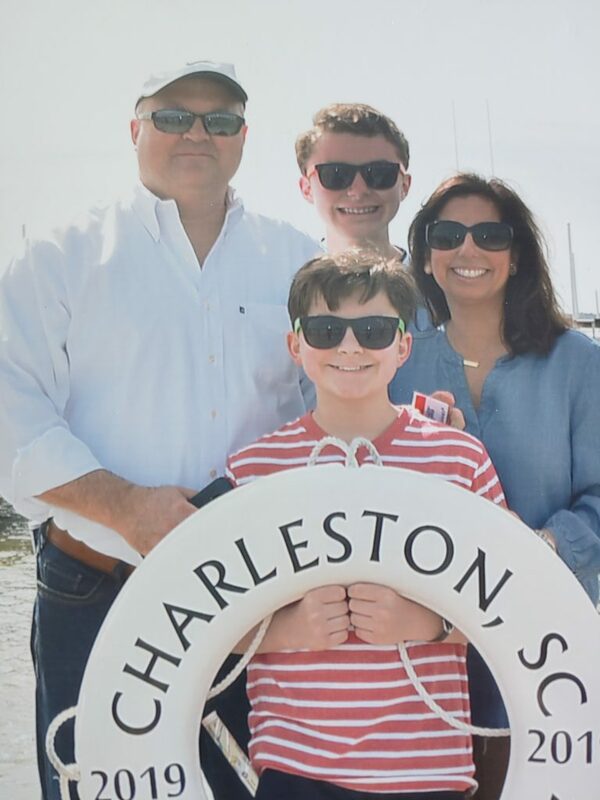 Our family headed over to beautiful Charleston, South Carolina for Spring Break. We had a really good trip but it turns out spring break is expensive. That being said, we would encourage everyone to go if you have not been to Charleston yet. There is a lot of super-cool stuff to check out, fantastic food, and we even made it out to the beach one afternoon. JHT doing St. Patty’s Day! 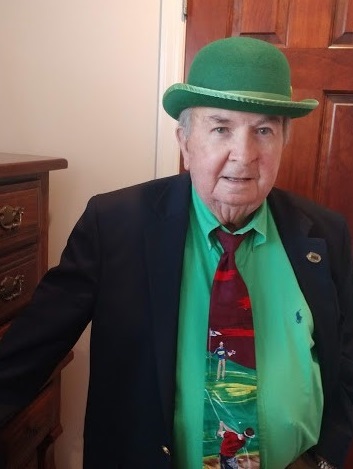 Here is a photo of 81-year-old company founder, John Truitt, heading to church on St. Patty's Day. He LOVES putting on the green each year. Guys at Sunday School dug the outfit. Trak Shak opens new location! 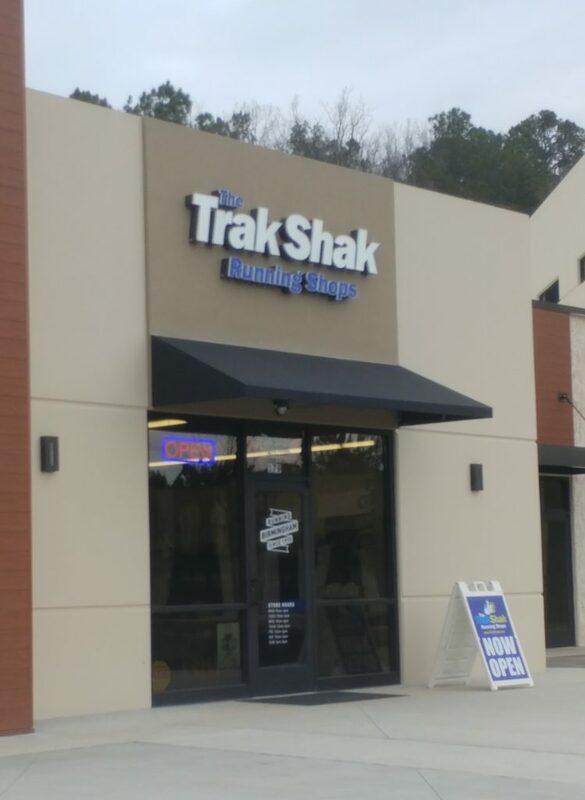 Get out and buy some running shoes & other gear from our friend Valerie McLean's new Trak Shak location at Trace Crossings on the way to the Hoover Met & Finley Center. Valerie is a powerhouse in Birmingham and the driving force behind the Mercedes Marathon each year. If you live in Hoover or are in the area, you need to stop in and support what she is doing. We continue to have a lot of fun on Wednesday nights at Vestavia Bowl. Here is a group of us last night. From left is Chris Jones, Bobby Lorino, Brian Lorino (front row), Charlie Lorino, me, Jimmy Brown, Kurt Dinga, Wes Ezzell, Richard Green, Terry Knight and Michael Giardina. If you need something to do you need to join us next season in the Premier Living league. 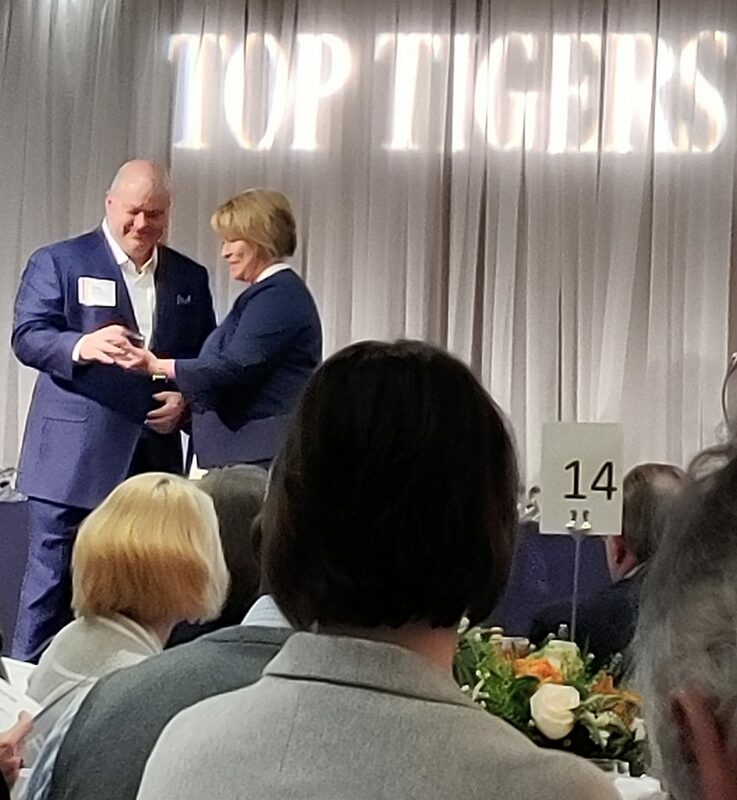 Leadership Birmingham is now taking nominations for their upcoming 2019/2020 class. Go to www.leadershipbirmingham.org for more information. People are wanting to come see us so bad they are trying to get in when no one is here. 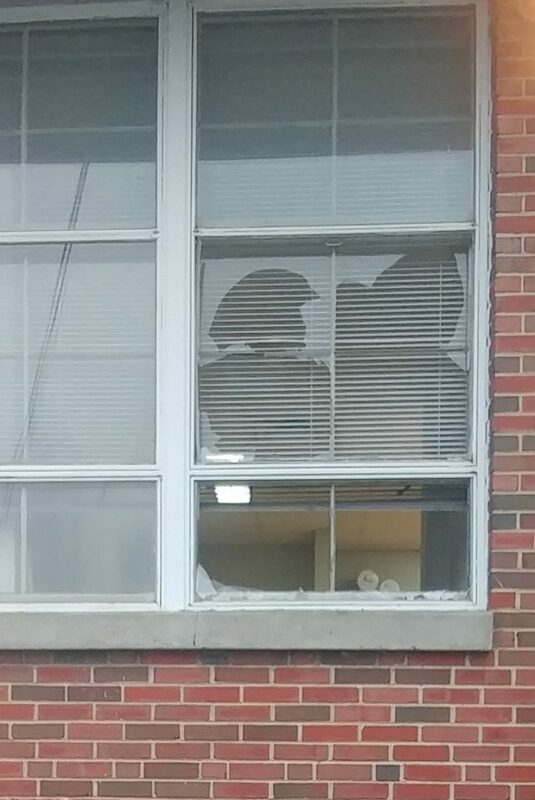 Thanks so much to the jack-hole who smashed one of our back windows the night of March 2nd. I found it early on March 3rd and spent a cold, windy, rainy day getting plywood up. That was such fun I would love an opportunity to thank them personally. Birmingham Legion first season kicks off! 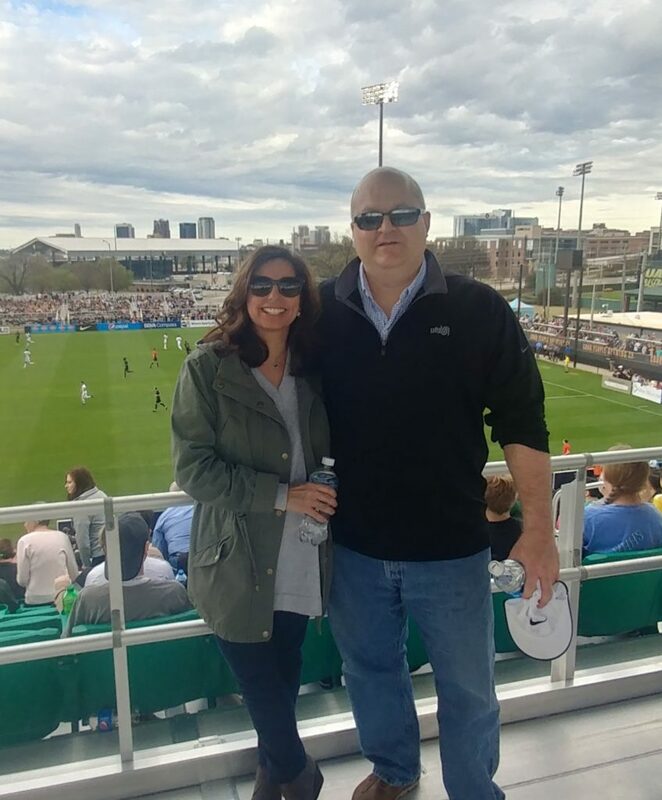 We really enjoyed going out to the first-ever Birmingham Legion soccer match yesterday. We do not know a lot about soccer but do know they had a sell-out crowd, a great home-field and we had a lot of fun. Please get out and support the Legion. This may be Birmingham's chance to move into major league sports eventually if we can show we have a BIG demand. We have 16 more home games so put them on your calendar! Our new sign is looking good out at the Hoover ballfield. 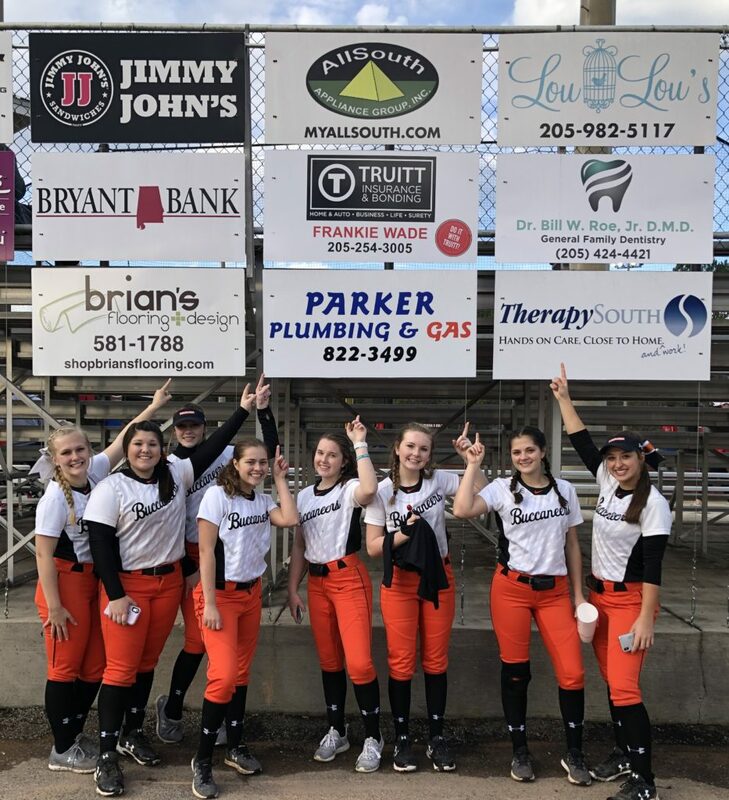 Our Frankie Wade's daughter, Gia (on the right of the photo), plays on the JV and is now playing some with the Hoover varsity team. She also had a huge grand-slam the other night in the cold. Thanks to all the sponsors. Get out there and support them (especially us). 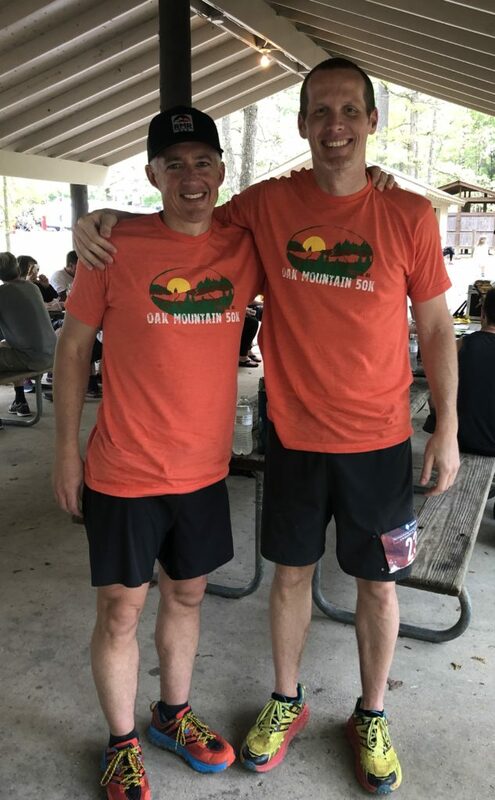 Our Matt Denton is a HUGE trail runner. 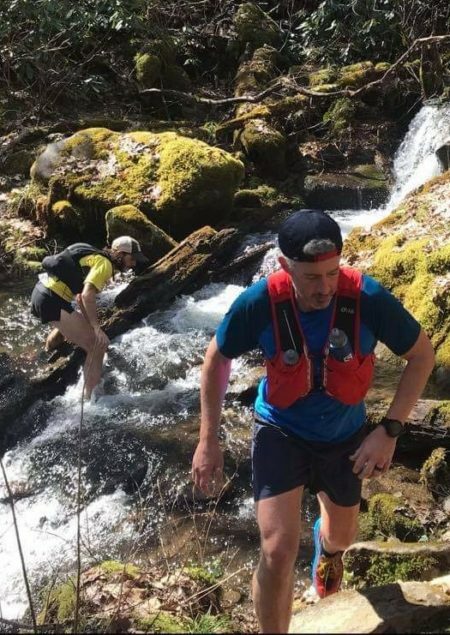 Here he is over this past weekend up in the Smokies with good friend Zachary Andrews doing their thing. We have really enjoyed being a sponsor of Samford University Athletics this year. We were able to visit with them yesterday at their athletic department meeting. 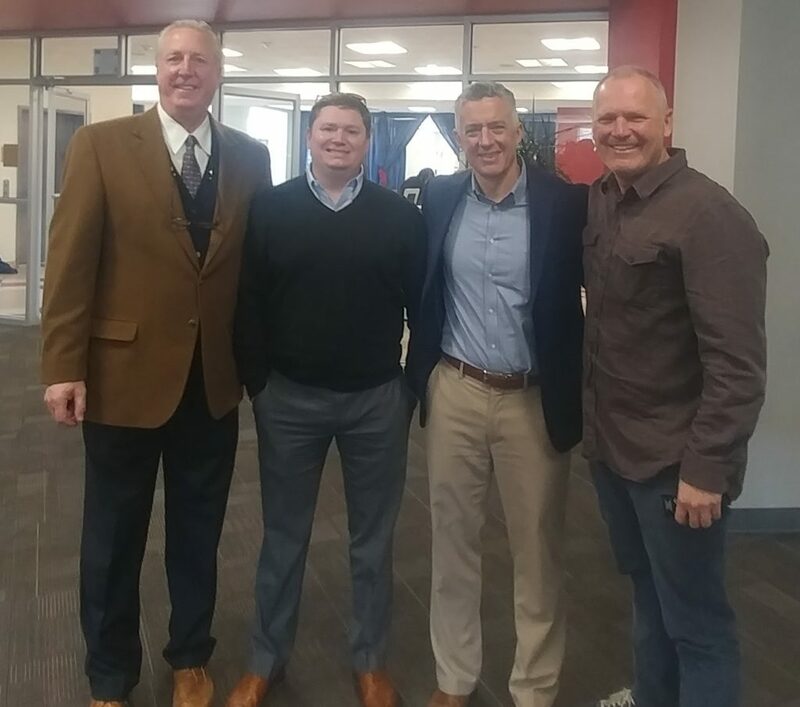 It was great hearing what all the different teams have going on, how they are trying to improve the lives of their student-athletes, and to getting to meet some of their staff. Here is Truitt's Matt Denton & Brandon Baird along with Leon Ryan (left) and men's soccer coach Todd Yelton. The team at Oak Mountain Amphitheater is working hard and came out with another show announcement this afternoon. Korn & Alice In Chains are teaming up on July 23rd. Contact Emily Stuenkel at Live Nation (205-578-3992) to get set up with a VIP season pass to make all the shows and have a great parking place as well. 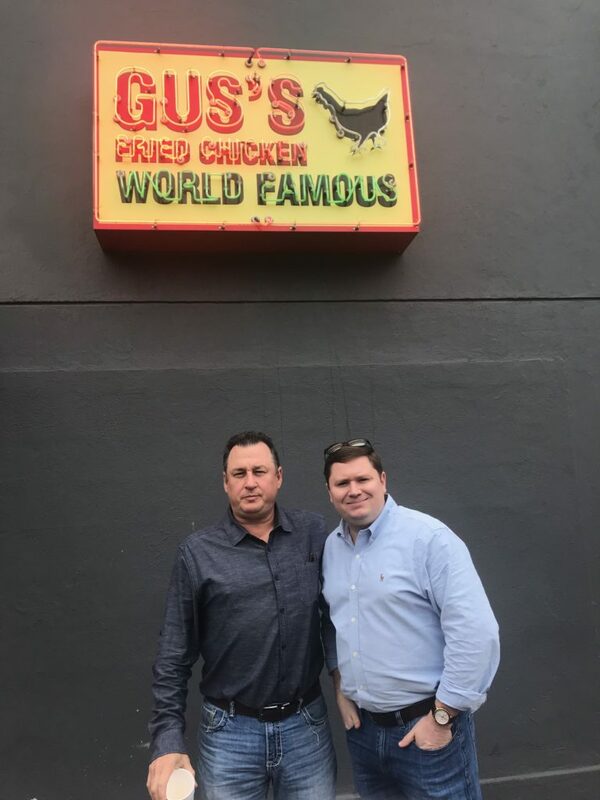 The much anticipated Gus's Fried Chicken opened their Birmingham location at Ward Neely's new development, The Battery, last week. Not sure they were first in line but it didn't take long for Truitt's Brandon Baird & Frankie Wade to make their way there. Came back with rave reviews of the place and I can't wait to check it out, especially the fried okra from what I heard. It is great to see what keeps happening all over the City Center. Mardi Gras Is Now On! 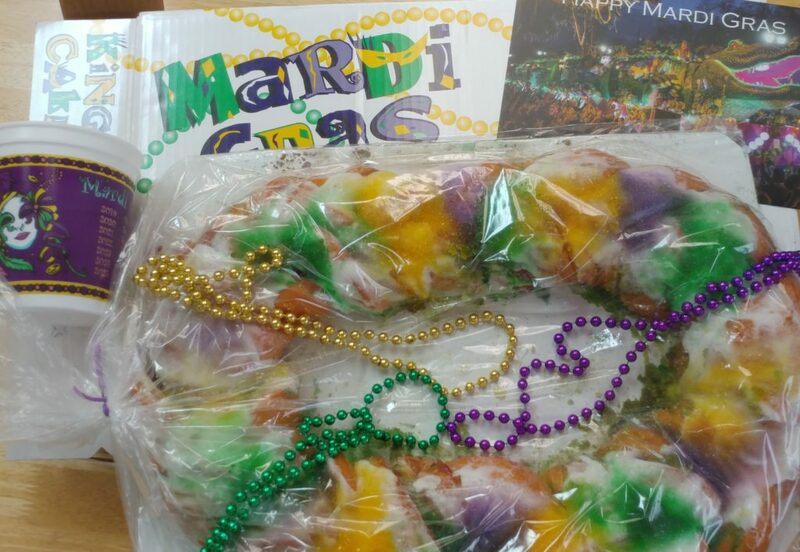 We want to thank our friends over at Gray Surety for getting us in the mood for Mardi Gras. Gray, based outside New Orleans in Metarie, LA was nice enough to send us this King Cake to get us started off today and we thought it was fantastic! We really appreciate it and working with our local reps Parker Smith and Adam Bennett. Connie Bengtson in our Daphne office has her Mardi Gras stuff up, too, so we are ready to go. 26sepalldaySubAla Oktoberfest4PM - 7PM, Avondale Brewing Co. When You Need Home & Auto Coverage, DO IT WITH TRUITT! Call Us Today, (205) 254-3005! Check out The World’s 9 Most Expensive Retail Streets as presented in the January 2019 issue of Shopping Centers Today. There Is A Lot of Risk Out There Each Day. We Help Protect You From It. 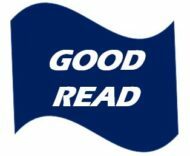 Thanks so much for taking a minute to check out Truitt News. People are doing great things. I just want to tell you about them. 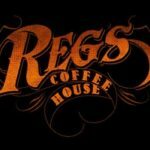 My goal is to help friends & small business people get the word out about all the good things they are doing. Hit me up with any questions or send me some news at tony@truittinsurance.com. All of us at Truitt Insurance & Bonding are really happy to help sponsor Samford Athletics. Come out and support the teams if you get a chance. Great family entertainment. “My psychiatrist told me I was crazy and I said I wanted a second opinion. He said…okay….you’re ugly, too”. WE ARE YOUR LOCALLY OWNED OPTION FOR GETTING A BETTER BOND PROGRAM TOGETHER. YOU JUST MIGHT LOVE US! 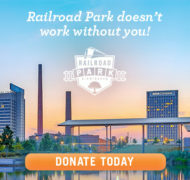 Railroad Park has been one of the primary targets for us to help support. The park was a transformative addition to downtown Birmingham, spurring on pretty much all the development that has followed. Please consider making a donation so we can keep “Birmingham’s Living Room” in tip-top shape for years to come. Go to www.railroadpark.org for more information. 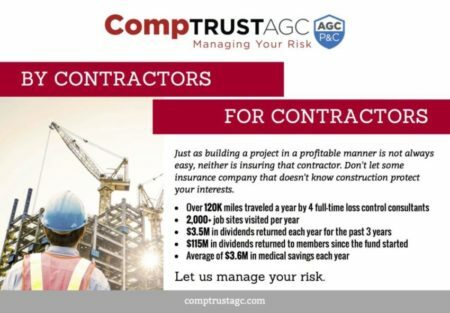 The recently released 2018 Travelers Risk Index highlighted that 36% of businesses are concerned about someone deceiving their employees into transferring funds, despite a 2,370% increase in losses from such scams in two years. If you are like most people you have been getting covered up with notices from Birmingham Water Works that you are not covered for any damage to underground utility lines between your home and the street. 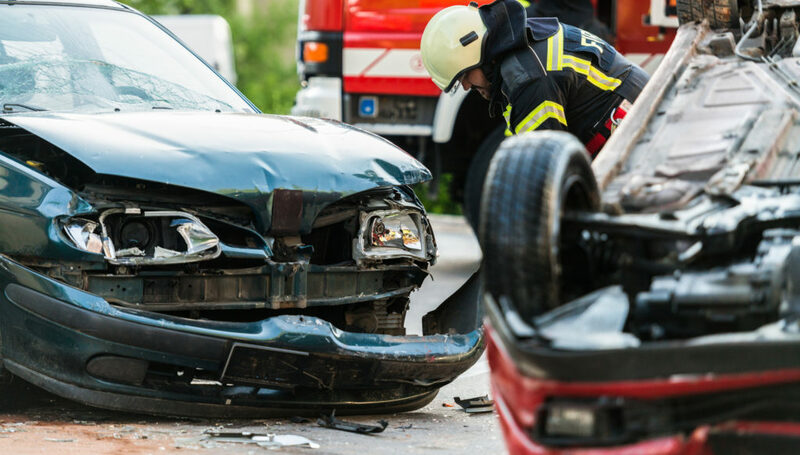 Well…Cincinnati Insurance Company will be introducing an affordable add-on that will handle coverage for you. You will be able to get either $10,000 or $25,000 of coverage for $25 or $40 beginning in the very near future. Give Brandon at Truitt Insurance & Bonding a call at (205)254-3005 and let us get you covered with Cincinnati. Great company, fantastic claim service and now this. What is not to like? “If one morning I walked on top of the water across the Potomoc River, the headline that afternoon would read: PRESIDENT CAN’T SWIM”. According to a recent report by the Office of the Director of National Intelligence and reported in PropertyCasualty360.Com, China, Russia and Iran pose the biggest threats of computer attacks to spy on US companies. As reported in the September 2018 issue of iamagazine, a survey released by lending firm OppLoans found that 45% of the Class of 2016 has missed a student loan payment. Van Halen rolled their first-ever headlining world tour into Birmingham’s Boutwell Auditorium in support of the band’s hugely successful first album. According to Symantec, $522 is now the average ransomware claim amount. This is down from previous years indicating it is becoming more commoditized. Though the ransomware request amount has become less, the resulting business interruption claim amount is where the real client damage is being felt. The average millennial’s spend on rent by the time they 30. This is according to a study by Primary Residential Mortgage Inc. cited in iamagazine. This is one of the factors driving them to be the largest class of homebuyers in the current market. The California Wildfire Season is always costly. During 2018, fires 6,390 fires had burned almost 1,495,000 acres as of Sept 19th as reported in National Underwriter. Fire season will last through October. Damages for the state’s record-setting 2017’s fire season were upgraded to over $13,000,000,000 according to Aon. This looks to be fun. The Funky Fish Fry benefitting Mitchell’s Place is set for April 6th. 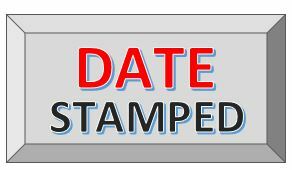 Put it on your calendar! Click here for more info on Mitchell’s Place. Hurricane Florence, which made land-fall in September along the east coast, has insuror loss damages estimated in the $5,000,000,000 range. Hurricane Michael, with an October landfall centered around Mexico Beach, FL along the panhandle, has insured losses estimated in the $4,500,000,000 range before including losses handled by the National Flood Insurance Program. 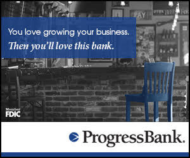 For a fantastic banking relationship contact Ann Hamiter or Dave Mason, my friends at Progress Bank, at (205)822-5500. As reported in the September 2018 issue of CLAIMS magazine, the Kilauea volcano that erupted this past May eventually spread to over 12 square miles. It destroyed over 1,000 homes and other structures on Hawaii’s Big Island, either directly from the lava flow or by the additional earthquakes and tremors involved.